Destroy the Air Defenses and deploy your Balloon. 1. Deploy a few Barbarians to set off the traps. 2. Deploy 5 Giants per side with Archers support to destroy the Air Defenses. You also could support the giants by dropping a Lightning Spell (it won’t do much but it’s something). 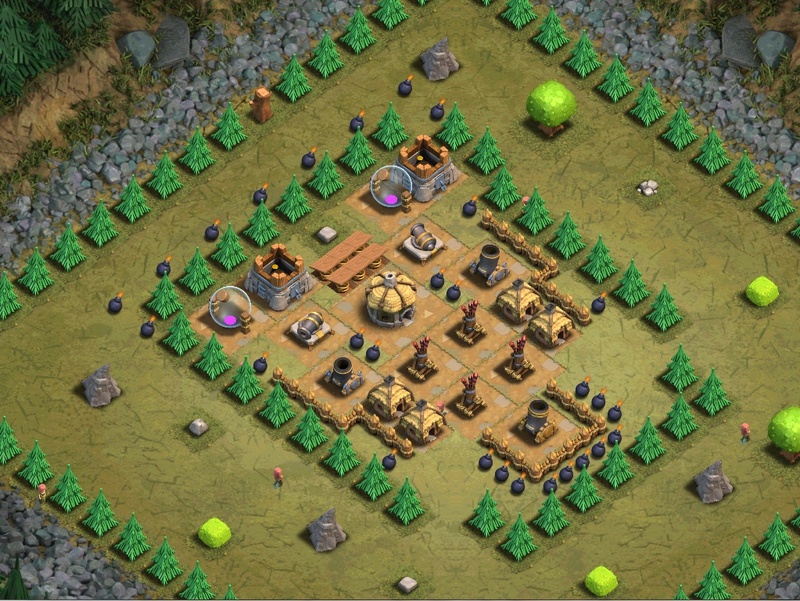 Note: 15 Level 2 Giants only (7 on one side of air def, 8 on the other) wasn’t enough to knock out the air defenses before being destroyed. Tested several times. Added archers as extra dmg but they target houses.